Liverpool vs Paris Saint-Germain is undoubtedly the stand-out fixture in the Champions League this week as last season’s finalists go head-to-head with one of the early-season favourites for the competition. In many ways, this game looks perfectly winnable for the Reds as they come into the game in fine form, full of confidence in this competition from last season’s run, and with PSG arriving at Anfield with possibly as many as five players missing, according to our friends over at Empire of the Kop. Still, Liverpool can’t get too confident playing against such quality opposition, who will pose a big threat to the way Jurgen Klopp likes his sides to play. 1) How to play without Roberto Firmino? Likely to be out with an eye injury after that nasty clash with Jan Vertonghen in the win over Tottenham, Roberto Firmino is a big loss for Liverpool that cannot be underestimated. The Brazil international has really made that centre-forward spot his own in the last couple of seasons, becoming arguably one of the most improved players in the Premier League as he’s nailed the false-9 position with his intelligence, work-rate, creativity and added goal threat as time’s gone on. He can either go for the simple option of replacing Firmino with Daniel Sturridge up front, but the 29-year-old is much more of an out-and-out striker who’s less likely to be able to put in as much running or drop deep to link play the way Firmino does. Either that, or we did see Klopp use Xherdan Shaqiri up front on one or two occasions in pre-season. This seems too big a gamble for a game of this magnitude, though in many ways it seems workable due to his skill-set being fairly similar to Firmino’s – just without the same level of goal threat. Salah or Mane could perhaps take a more central spot and another wide-player come in, but at this point it’s a very big change from what Liverpool are used to in what is generally a hugely effective attack that you wouldn’t exactly what to tinker with more than is necessary. 2) Where will the width come from? Another big part of how Liverpool play is using the incredible pace, box-to-box energy and quality delivery from full-backs Trent Alexander-Arnold and Andrew Robertson. The duo almost play like wingers when LFC are up against lesser opponents, but it’ll be hard for them to get forward nearly as much against a team like PSG, who’ll have Neymar and Kylian Mbappe waiting to break if they lose the ball up field. 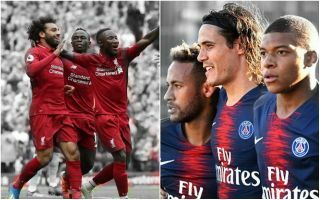 Liverpool may hope to allow PSG a lot of the ball and hit them on the break, in which case there may be more opportunities for the full-backs to attack spaces in behind Neymar and Mbappe. In general, though, Liverpool will most likely also need a bit more from other areas on the pitch, which could lead to Mane and Salah having to hog the touchline a little more than they’re used to, which in turn eliminates another goal threat.